Rey and I recently enjoyed a short photo walk, in a new-to-us forest, several miles south of home. It was a pleasant enough location, with all the usual things you’d expect to find: winding paths, a pond, waterfowl and ferns, lots of ferns. We meandered along the pathways, shooting here and there, but to be honest, all I wanted to do was leave. I had the strange sensation that we were not alone, despite never seeing a soul while there, or hearing another’s footstep or a distant voice. Sure enough, we were not alone. And it looks like Rey made a new friend in the process. Nikon D90, Nikon 35mm prime lens, at f/1.8, 1/500 second, in aperture priority. 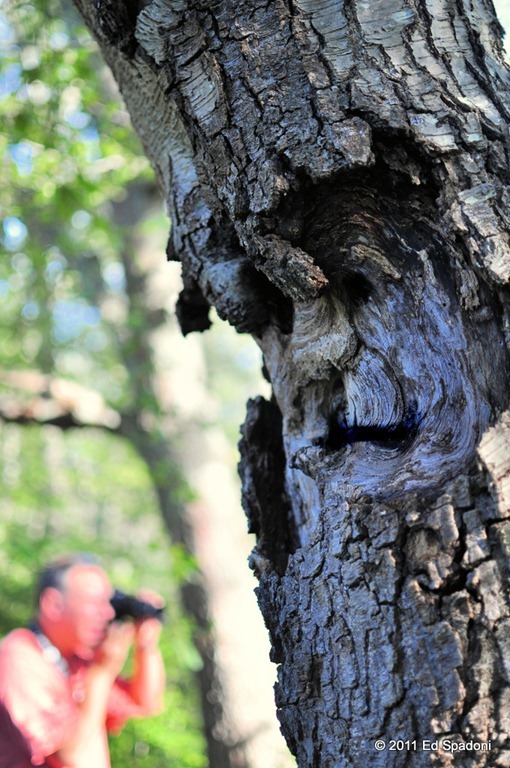 This entry was posted in Daily Photo, Images and tagged alone, face, forest, Nikon D90, tree, woods. Bookmark the permalink. Well seen and captured! Perfect spooky tree capture!